For those who need a new DualShock 4, or just want variety in an existing collection, good news has arrived in the color of alpine green. Well, to be more accurate, the color is two-toned as both alpine green and white make up the DualShock 4?s newest color scheme. PlayStation 4 users own the two-toned controller for themselves when it hits stores in April across the United States and Canada for $69.99 USD/$74.99 CAD. According to the PlayStation Blog, those interested in picking one up should check with local retailers about preorder details. At the time of writing, a specific release date for the April launch has yet to be revealed. Green and white pair perfectly together for this new addition to the DualShock 4 family. Moreover, the white of the buttons allows the color of each PlayStation symbol to stand out like never before. Another detail worthy of note, though small, are the golden arrows that accentuate the controller?s d-pad. 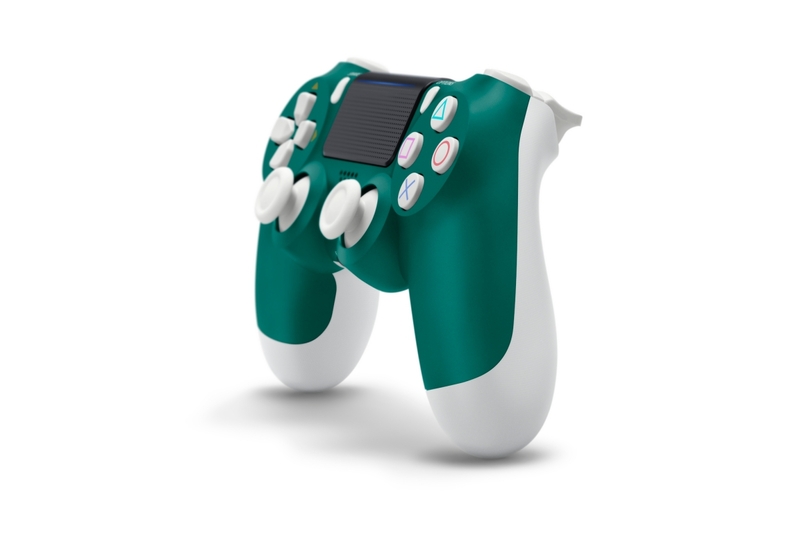 Suffice it to say, this Alpine Green DualShock 4 is quite the looker.